Our main focus is to develop and deliver flexible, strong, affordable, and time-saving solutions, which is why technology partnerships with leading providers are essential for us. 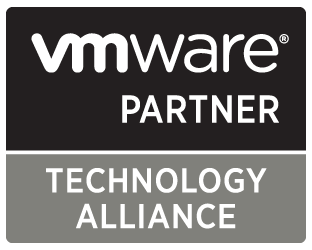 VMware is the global leader in virtualization that initiated the VMware Technology Alliance Partner (TAP) program to support businesses in their strive to satisfy customers' needs. Their virtualization tools and resources offer enhanced value to CoSoSys’ security products and solutions through fast deployment for a fast implementation or evaluation. With Microsoft Pinpoint, developers, technology service providers, and customers can find each other and create business opportunities in an easier way. Software applications and professional services based on Microsoft technologies are available on Microsoft Pinpoint directory, giving also to CoSoSys and its optimized for Microsoft platform Data Loss Prevention Solution greater visibility for its customers and partners. Jamf is focused on helping organizations succeed with Apple, and empowers users while simplifying device deployment, inventory and security. Their products are designed to offer businesses an extraordinary experience with their Apple products. Our clients use Jamf Pro to deploy the Endpoint Protector agent on Macs and to whitelist the CoSoSys kernel extension. The Linux Foundation is a non-profit organization that promotes and supports Linux and the open source projects through training, events, workgroups, publications and other programs. CoSoSys has become a member in January 2016, contributing to the Linux community through its cross-platform Data Loss Prevention product for Linux, Windows, and macOS computers - Endpoint Protector. 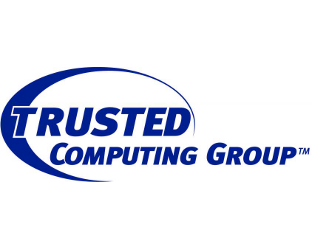 The Trusted Computing Group (TCG) is a non-profit association that develops and promotes computer security standards, supporting companies and individuals with solutions and platforms for a safe use of software and hardware. CoSoSys brings its contribution as a member through its strong Data Loss Prevention, Device Control and Mobile Device Management solutions, which offer enhanced data protection to businesses worldwide. Citrix Systems is an American multinational software enterprise that provides a secure digital workspace that combines the apps, data and services people need to be efficient and productive, and simplifies IT’s ability to implement and manage complex cloud environments. Their application and desktop virtualization solutions offer enhanced value to CoSoSys’ security products and solutions through increased efficiency, productivity and data security.